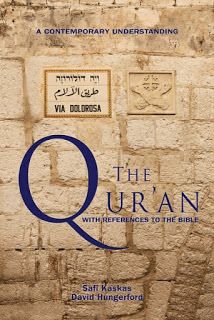 First hour: Mark Siljander, former Conservative Christian congressman (R-MI) and author of A Deadly Misunderstanding: A Congressman’s Quest to Bridge the Muslim-Christian Divide, has published a new book: The Qur’an with References to the Bible. It boasts over 3000 references to the Bible, which effectively serves to highlight the spiritual common ground uniting the three great Middle Eastern monotheistic traditions. In 2008, Siljander was indicted on transparently bogus “support for terrorism” charges. It was alleged was that a group he had worked for had also paid money to Gulbuddin Hekmatyar, the leading beneficiary of US support in the anti-Soviet Afghan liberation war. Despite Hekmatyar’s career as an American ally, he was suddenly redefined as a terrorist, allowing Zionist US Attorney Bradley Schlozman, an unconfirmed Bush appointee in the Justice Department dismissal of U.S. attorneys controversy, to launch his bizarre prosecution of Siljander (who was innocent of the Hekmatyar connection, and is deeply opposed to all forms of terrorism). Siljander’s book A Deadly Misunderstanding does indeed represent a major obstacle to the War on Islam. 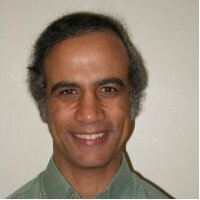 I have an Islamic Studies related Ph.D. and have taught introduction to Islam courses at UW-Madison and Edgewood college, and mini-courses at several Wisconsin churches; and never have I seen an approach to real interfaith dialogue as promising as that of Mark Siljander – a true follower of Jesus. Anyone who wants to end the current Wars of Religion (i.e. the 9/11-instigated War on Islam) needs to hear Mark Siljander’s amazing message. We are living in a fast-pace-24-hour-news-cycle world where people forget very quickly and get bored even faster. Terrorism, Extremism, Radicalism, blah blah blah have become old and almost boring stuff. This is even more true when the standard mantra is to attach these words to…..you guessed it, ISLAM. In every “terror” event in the West, the perpetrator(s) was/were known to the law enforcement BEFORE he/they did it!! Doesn’t THAT alone strike you as weird “coincidences”!!!! Since Sunday very early morning, I have been following with kind of intrigue the news and more importantly the reactions to the “new” story recycling an old boring movie. A “Muslim”, alone this time, was behind the largest “mass shooting” in the history of this country!! His name is “James Mateen” or “Omar Holmes”. I bet you would not even remember who is “James Holmes”!! He is that troubled young man who simply took a big gun and went to a movie theater in Aurora, Colorado, at midnight and killed 25 persons and injured some more. His story was forgotten within a few days (actually a few hours for most). Omar Mateen on the other hand has a big difference with James Holmes, Omar is a “Muslim” and not just that but his “sexual identity” AND his target make his story all the more “spicy” for the American taste. The magic three letters S-E-X…..Night Club……2 O’clock Saturday night/Sunday morning……..people are drunk……..you get the picture….. This show was broadcast on June 19, 2016. This entry was posted on Saturday, June 18th, 2016 at 8:46 am	and is filed under 9/11, Anti-War, Censorship-Propaganda, Education, False Flag/Fake Terror, Freedom, Geopolitics, Human Rights, Justice, Kevin Barrett, News, People, War Crimes. You can follow any responses to this entry through the RSS 2.0 feed. I am also a follower of Jesus, THE BEST OF HIM that we can find in both the Gospels and the Qur’aan! Non Roman, non Apostolic, Catholic CHRISTIC Muslim!